Irish firm, Carbon Action, a wholly owned subsidiary of CMSE travelled to Liaoning Province in north east China in January 2013 to carry out initial assessments and participate in carbon-emissions and energy related works in the company of our UK and Chinese partners. 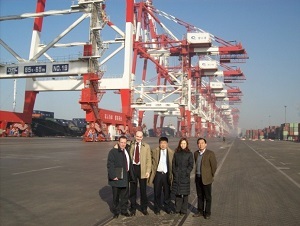 The team operated as part of a consortium representing the Liaoning Environment Exchange (part owned by the Beijing Environment Exchange). Carbon Action was based in the city of Yingkou, a beautiful city on the Bohai Sea which is going through a period of rapid development. We again travelled to China in July and worked in Liaoning and also in Guangdong provinces. Carbon Action was invited to participate and add value to their efforts because of our expertise in the ISO 14064 series of Carbon Management standards. The UK Governments Business, Innovation and Skills Department recommended Carbon Action to the Chinese partners. Energy/Carbon Surveys in one existing and one new hospital in the city of Yingkou in Liaoning Province. An Energy/Carbon Survey in a newly constructed Bitumen refinery in Liaoning. 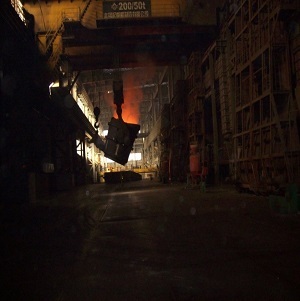 Energy/Carbon Surveys in an existing steel mill. An Energy/Carbon Survey in the port city of Bauyuquan, which included a coal-fired power station, Oil/chemicals terminal and a large oil and solvents storage tank farm. We were able to highlight and demonstrate energy and resource savings to the operations company. An Energy survey on a second coal-fired power station. During the visit Carbon Action / CMSE were invited to carry out site surveys at two magnesium mines and smelting plants, following meetings with the National Magnesium Association regarding trans-boundary pollution issues, with emissions crossing to North Korea being identified a source of complaint. We also reviewed a new Magnesium smelting plant with a view to creating Carbon Credits in the UN CDM market. We attended meetings in the Provincial capital Shenyang with the Liaoning Provincial Development and Reform Commission to explore how the Liaoning Environment Exchange could assist the province with the transition to a low carbon economy over the duration of the new 5-Year Plan. Following this we were invited to meetings with Municipal Govt of Yingkou to discuss low carbon initiatives in this city. 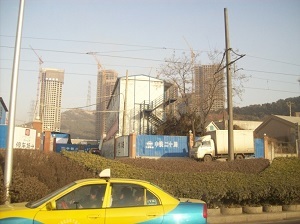 Yingkou population is increasing by 20% per annum. Towards the latter end of this expedition we participated with the state run “Dalian Technology Financial Company” on investment opportunities. Carbon Action / CMSE participated as guests on a UK-China Carbon Market Business Partnership Trade Mission to China and attended events in Beijing. We were guests at two events at the UK Embassy outlining commercial opportunities in the country. In Beijing we participated in the UK Trade mission as guests. We discussed how our organisation (Carbon Action / CMSE and Liaoning Environment Exchange) could assist in Carbon and energy projects with Galaxy Securities Corporation Supervisory Committee. We participated in a briefing by the UK embassy outlining the opportunities and challenges in the upcoming transition from the 4th generation leadership to the incoming 5th generation of party leadership. 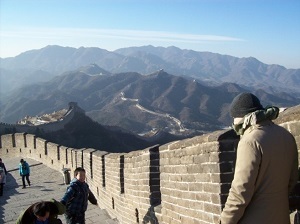 CMSE / Carbon Action work in China in July. Carbon Action returned to China in July and worked with our local partners in Liaoning and in Guangdong provinces. We were invited to meet with Anshan City Development and Reform Commission as a participant/partner of the Liaoning Environment Exchange. At this meeting we gave a presentation to Anshan Municipal Development and Reform Commission. Whilst in Anshan our hosts organised a visit for us and our Yingkou partners to the city’s famous Jade Buddha – a structure carved from one piece of Jade. The statue was sculpted from a piece of jade 7.95 meters high, 6.88 meters wide, 4.10 meters thick, weighing 260.76 tonnes the front of the stone has been carved with an image of Gautama Buddha. July TripDuring the July trip Carbon Action carried out a carbon/energy survey for a coal-fired communal district heating plant and were able to provide energy and carbon savings to the facility in Yingkou. Successful meetings were also held in Shanghai regarding a large development for a major Western food retailer using low carbon techniques and renewable energy in the production process. We carried out energy and carbon surveys on a state-owned dairy company in Guangdong Province – about 3,200 km from Liaoning. We again met with the State Appointed Technical Management committee at the site as part of this process. Carbon Action / CMSE have witnessed that China is making progressive and real strides in the field of climate change and its management and mitigation measures. It is recognised that to show we care about something – we need to measure it accurately and robustly, only then can we manage and mitigate this threat of global warming to humanity. It was extremely encouraging to see the great progress being made in China on this front which is something not generally recognised in the West, Carbon Action have seen with our own eyes that China is making serious and genuine strides in environmental protection.